Sitharaman's remarks come amid some Opposition leader demanding evidence about the number of terrorists killed in the air strike. 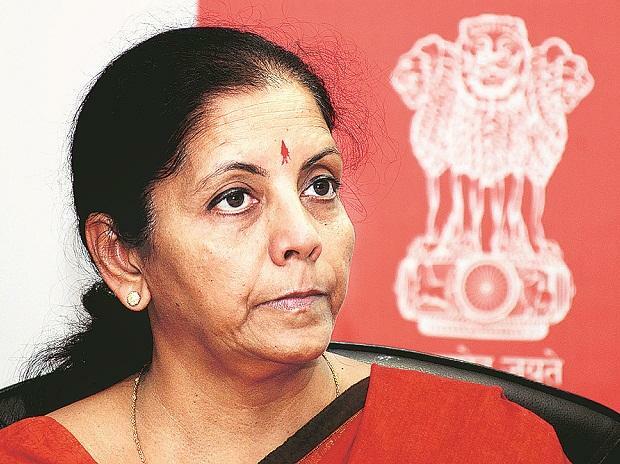 Defence Minister Nirmala Sitharaman said Tuesday the Indian Air Force strike that destroyed a Jaish-e-Mohammad terror camp in Pakistan's Balakot area was "not a military action" as there was no civilian casualty. She also said Foreign Secretary Vijay Gokhale had not given any casualty figure in his media briefing after the air strike and only gave a statement which is the government's "position". Gokhale has said the non-military and preemptive strike on the Jaish-e-Mohammed training camp killed a "very large number" of terrorists, trainers and senior commanders. The IAF, which carried out the strike on February 26, said on Monday that government would provide details on the casualty figures as the Air Force only sees if a target has been hit or not. On Tuesday, the defence minister said, "There was no need to analyse more on Balakot strike" as she declined to link the air strike on terror camp with the coming Lok Sabha election. "After Pulwama attack, we were waiting patiently for days... When we got information the terrorist attacks were originating from that region (Pakistan), without military action, we carried out the strike pointedly," she told reporters here on the sidelines of the launch of Pradhan Mantri Shram Yogi Maandhan (PMSYM), a pension scheme. "Civilians in the vicinity or surrounding areas were not affected in any way, so we have been saying the strike we carried out after Pulwama suicide bombing was not a military action," she added. On February 14, a suicide bomber of the Pakistan-based JeM group rammed an explosives-laden vehicle into a bus in Jammu and Kashmir's Pulwama district, killing 40 Central Reserve Police Force personnel. Sitharaman said Pakistan has failed to take action against terror groups despite India providing details of terrorist training camps. "Pakistan has been informed about terrorist camps, with proof, by the present (NDA) and previous UPA government. But they neither took action, nor did they remove the terrorist training camps." "Pakistan has been denying this globally, saying it was also a victim of terrorism," she said. On peace talks proposed by Pakistan Prime Minister Imran Khan, Sitharaman said, "We have always been telling that India will be ready to hold talks only if they act against terrorism." Earlier, she distributed the first 10 identity cards to the beneficiaries of PMSYM, marking the launch of the scheme. Around 20,000 beneficiaries from Tamil Nadu would be joining the pension scheme Monday, out of 72 lakh unorganised sector workers. Appealing to the state government to increase the number of Common Service Centres and 'Amma' e-seva centres in the state, Sitharaman said PMSYM along with similar schemes of the state government would fetch Rs 4,000 pension to the beneficiaries. Unorganised sector workers up to 40 years of age can subscribe to PMSYM, which entails a minimum monthly pension of Rs 3,000 to them from 60 years of age. The scheme, announced in the Budget for 2019-20, is targeted at unorganised sector workers with a monthly income of up to Rs 15,000. It mandates a monthly contribution of Rs 55 for an 18-year-old worker with equal contribution from the Centre. The worker joining the scheme at the age of 40 years would contribute Rs 200, while workers at the age of 29 years would pay Rs 100.